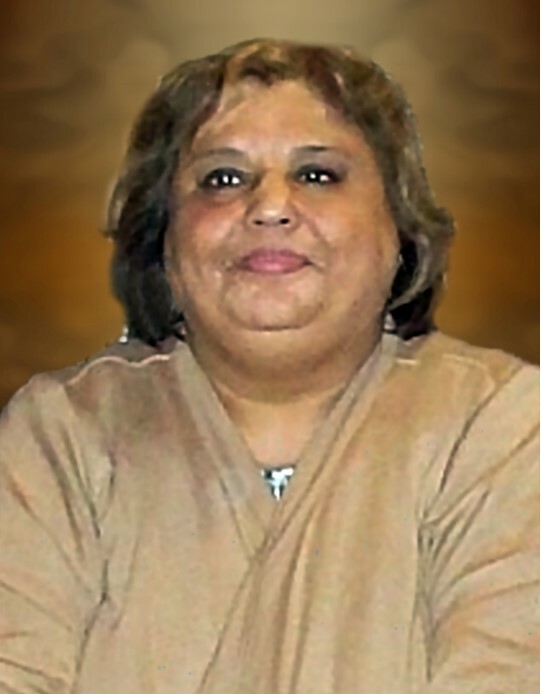 BEEVILLE – Mrs. Yolanda "Landa" M. Moron, 66, of Beeville, passed away on Nov. 20, 2018 in Victoria, Tx. She was born on Oct. 23, 1952 in Beeville, Tx to the late Antonio (Tony) and Paula (Trevino) Moreno. She was the retired owner of Trevino Flower Shop. She was preceded in death by her parents; a grandson, Christopher James Villarreal; uncle, Guadalupe “Lupe” Trevino; aunts, Lupita “Lupe” Trevino, Hilda G. Trevino, Genevieve “Nene” Trevino; and mother-in-law, Margarita Moron. She is survived by three sons, Gabriel (Nikia) Moron and Tony Moron both of San Antonio, Tx and Paul (Audria) Moron of Beeville, Tx; two daughters, Sonia (David Garcia) Moron and Leticia (Ronnie Garza) Moron both of Beeville, Tx; one sister, Christina (Bobby) Moya of Colorado Springs, CO; one brother, Antonio (Tony) Moreno, Jr. of Beeville, Tx; 13 grandchildren, Justin Rincon, Christian Moron, Allison Moron, Heidi Rodriguez, Dante Brown, Isiah Carrizales, Noah Garcia, Andre Moron, Alex Garcia, Joseph Moron, Gabriella Moron, Cristiana “Molly” Villarreal and Ariana Moron; father-in-law, Concepcion G. Moron; brother and sisters-in-law, Petra (Henry) Garcia, Fred (Susana) Moron, Chon (Liz) Moron, Margie (Abram Moreno) Diaz, Ofilia Moron and Fernando J. Moron; her caregiver, Dolores “Chach” Rodriguez. She is also survived by several nieces and nephews. Visitation will be held on Sunday, Nov. 25, from 4-9pm at Oak Park Memorial Funeral Chapel. A rosary will be recited at 7pm. The body of Mrs. Moron will lie in state at 9am on Monday, Nov. 26, at St. Joseph’s Catholic Church. Funeral mass will be celebrated at 10am with Fr. Thomas Goodwin officiating. Interment will follow at St. Joseph Cemetery. Serving as pallbearers are Chon Moron Jr., Fernando Moron, Mario Garcia, Antonio “Tony” Moreno, Adolfo Garza, Chon Carrizales, Chance Bates and Ernie Garcia. Honorary pallbearers are Ofilia Moron, Freddy Moron, Fred Moron, Henry Garcia and all the grandchildren, nieces and nephews.